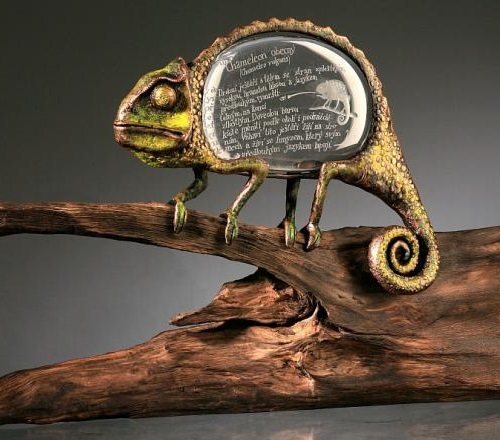 Dalibor Nesnidal sculpture, in fact, is wonderful surreal stories told in glass engraving, metal and wood. Czech glass artist, sculptor, painter, illustrator and musician Dalibor Nesnidal is a very versatile and creative person. The gallery of his art works include glass sculptures and wooden objects, pictures, drawings, illustrations, and bookbinding. In the period from 1969 to 1973 he was educated at the Artistic Production in Prague, majoring in artistic blacksmithing. In 1981 he began working with glass in the glass company “Moser”. The same year appeared his first glass works. From 1990 to 2009, the artist worked with Milan Mottl glass works in Karlovy Vary. Dalibor Nesnidal currently lives and works in a small village. 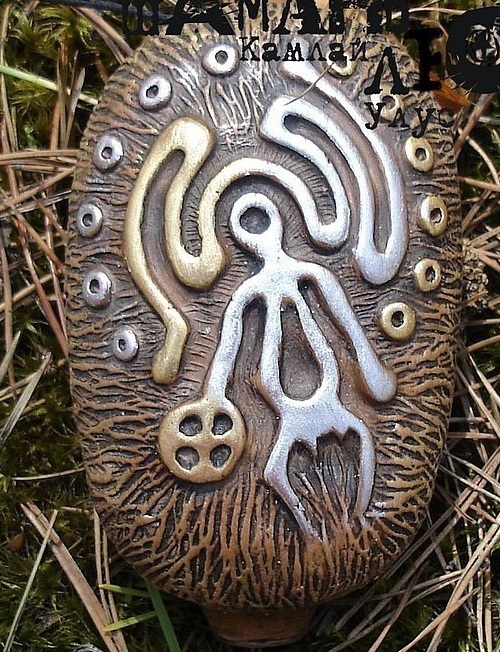 Surrounded by nature, he often uses in his work wood, stone and bone. He paints, illustrates books and magazines, and even published his Author’s books – in 2010 – “Four Masters”, and in 2015 “Tales from the region under the regents”. From 1993 to this day Dalibor has participated in numerous personal exhibitions in his home country and abroad. 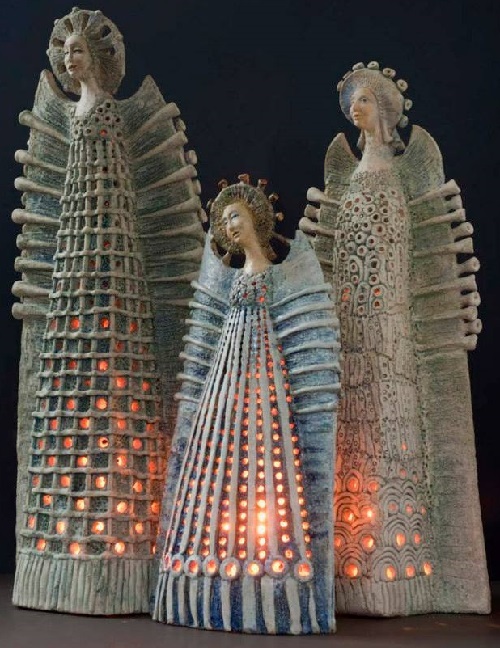 Talented ceramic artist Marta Wasilczyk has created a series of beautiful sculptures of angels, which can serve as a perfect interior or landscape decoration. The angels are made as if from lace, and each of them is unique, handmade, and can’t be repeated. Polish ceramic and pottery sculptor Marta Wasilczyk graduated from the Department of Art History of University of Culture in Lublin, Poland. 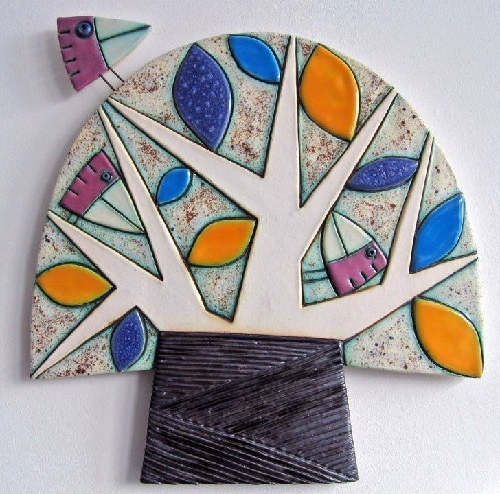 Since 1994 she has worked in her own Studio of Ceramic Art. Marta annually participates in solo and group national and international exhibitions of ceramic Pottery and sculptures, various art competitions. She was a winner of a nationwide exhibition “Pottery and ceramic sculptures 98”. 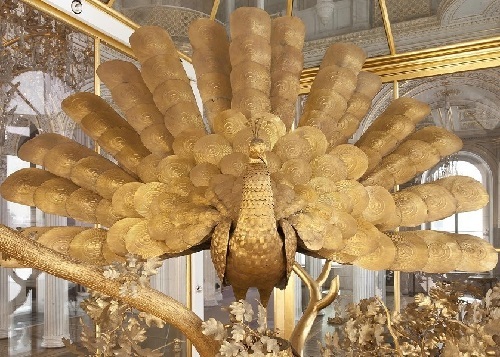 Martha was given the first prize in several exhibitions of Fine Art and Handicraft Art, which took place in her native Poland (2009, 2011, 2014). Talented and creative doll artist Ekaterina Samgina lives in Moscow. According to her, she is fond of children, and her passion gave birth to creating reborn dolls. The dolls made by Ekaterina look so realistic, that some of her clients compare her work to the exquisite work of a jeweler. 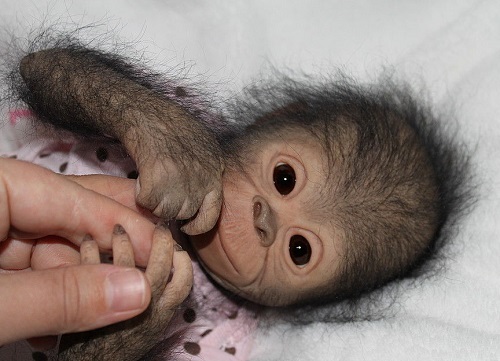 Although the master mainly manufactures dolls of new born babies, my attention attracted this adorable Reborn monkey Chita Bindi. Firstly, because the doll is incredibly realistic, and secondly the New 2016 – year of the Monkey. Making her dolls, Ekaterina Samgina uses the highest quality materials, carefully working out every detail. 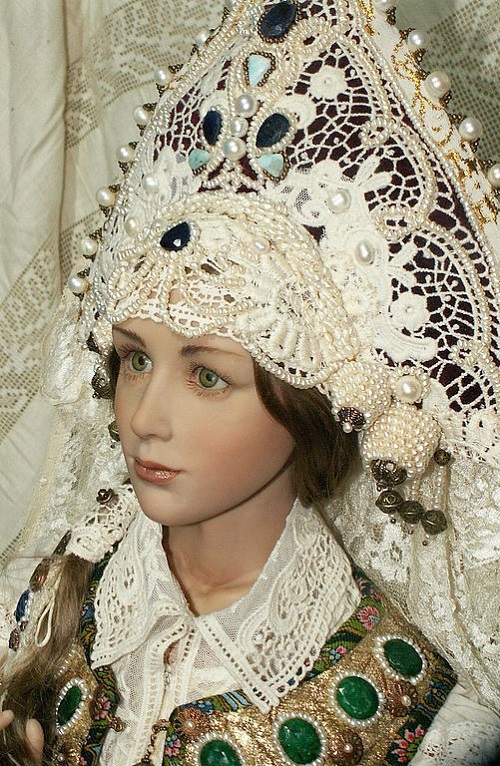 Her works can be seen at international exhibitions of dolls.